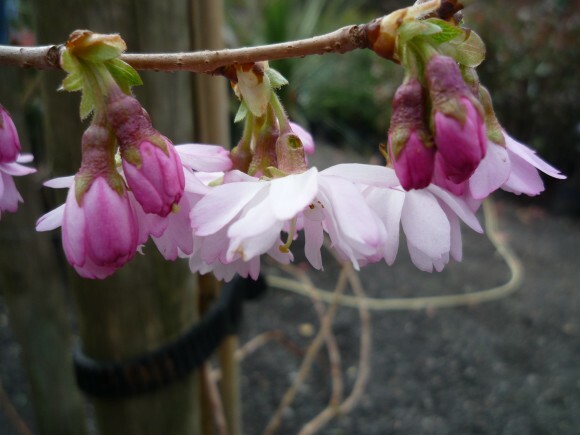 Prunus x subhirtella ‘Autumnalis Rosea’ is a small tree with semi-double pale pink flowers from November to March on bare branches. 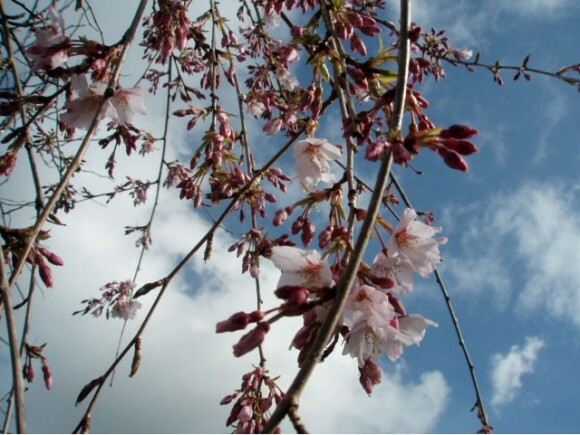 The flowers are followed by small fruits, which are good for birds. 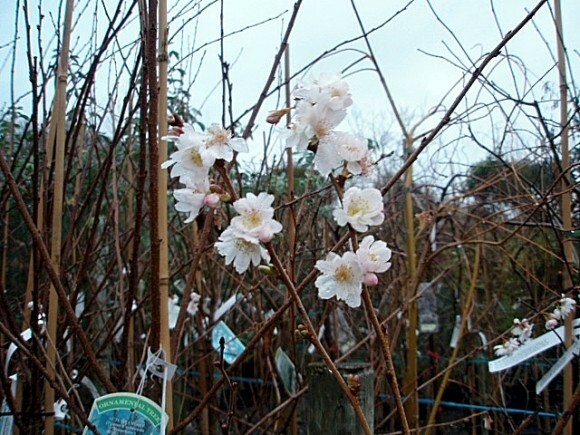 Prunus x subhirtella ‘Autumnalis Rosea’ has green foliage which turns shades of orange/yellow in the autumn. 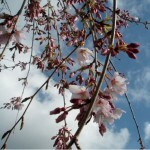 It is ideal for small gardens and is pollution tolerant, so is a tree suitable for urban areas. 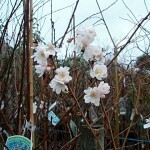 It will thrive in most conditions, but does not like wet soil or shallow chalk. 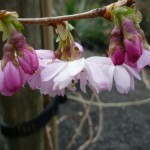 Prunus x subhirtella ‘Autumnalis Rosea’ can be planted in a sunny location, with little or no protection.